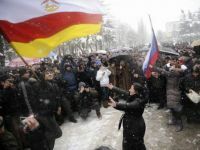 Presidential elections in South Ossetia in November 2011 brought shame on local authorities and Russia. 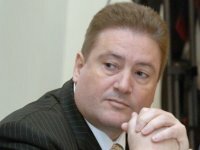 Initially it was assumed that the incumbent President Eduard Kokoity would stay for a third term, but Moscow didn’t show any interest in his further services and during the election process the Kremlin backed South Ossetian Emergencies Minister Anatoly Babilov. Russian imperial nationalism and anti-Westernism has been a distraction for Putin & Co who missed the emergence of a domestic challenge, and did not see the crisis of their regime coming. These same factors may also, however, subvert the currently growing pro-democratic protest movement in Moscow and beyond. Despite the striking headlines in the world leading media about almost "sensational" results in Russian parliamentary elections and analysts' forecasts for the prospects of democratization, in fact nothing unexpected has happened and no major changes in domestic policy are expected. At the same time Moscow can face some difficult months in its foreign policy. Active political season has already begun in Russia. 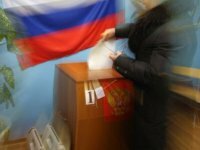 Elections to the State Duma will take place at the end of the year, whereas the Kremlin’s leadership should change next year. According to the recent news president Dmitry Medvedev is not going to bid for the second term and would step aside for Vladimir Putin. Almost two years ago Russian news agencies released the news on the Defense Ministry’s plans to purchase the unmanned aerial vehicles (UAV’s) from Israel and Mistral type amphibious assault ships from France. This has led to shock and “patriotic” indignation of some countries although weapons have been imported to Russia for ages. „To be honest, Russia is a northern country”, said Putin during the International Arctic Forum The Arctic: Territory of Dialogue which took place in September 2010. 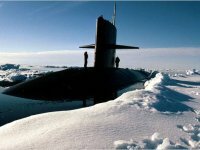 Potential energy and economy impacts of the Arctic changed the views of the Russian officials who now consider it as an important region not only to the economic welfare of the country but also to its status on the international stage. Aggressive nationalism has become a real headache for the Russian authorities. Renaissance of the recent nationalism began in Russia almost a decade ago, when new president Vladimir Putin started using the nationalist rhetoric while building own “vertical of power”. 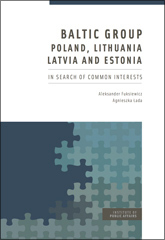 As a result the attitude toward minor local manifestations of nationalism became friendly and forgiving; but this led to relative impunity and created a medium for radicalisation of nationalist groups. 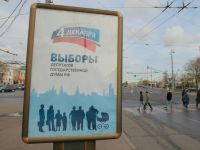 Although the next presidential elections in Russia will be only in 2012, it seems that intrigue is inevitable. 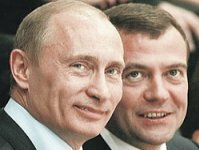 Behind it there is a question: will D.Medvedev agree to bring V.Putin “back” to his former position? 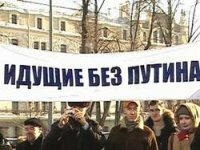 Over the last 20 years, the small community of researchers of post-Soviet Russian ultra-nationalism has repeatedly become the target of verbal and non-verbal attacks, by their objects of research - Russian fundamentalists, ethnocentrists and racists. This is not an unusual phenomenon in the contemporary study of international right-wing extremism. Who takes the advantage of the Russian wildfires? The heat which prevailed in the European part of Russia for nearly two months, slowed down, as well as forest fires. Explanation of the heat in Russia as a divine or natural retribution could be too mystic, but it is obvious that Russian authorities could do much more in managing the consequences of the natural disaster. 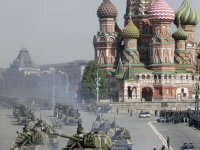 Nearly two years have passed since the Russian-Georgian war which revealed the weak points of the Russian Army and raised discussions on what army could be the most appropriate for Russia: professional army consisting of professional contract soldiers, or a conscript army recruited according to the Russian Law on Military Service. These discussions have been lasting for several decades. 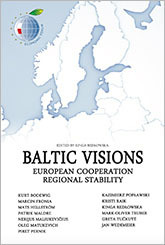 It seems that efforts are made to establish the energy autonomy in the Kaliningrad Region.. 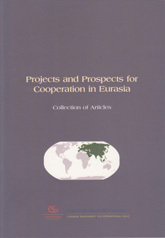 This was demonstrated at the end of May during the meeting of the regional governor G.Boos with president D.Medvedev. President was asked to commit the Federal Tariff Council to coordinate the prices of gas supplied to the Kaliningrad Region with the average price of the European regions, since, according to G.Boos, „during the recent six years [...] it has increased more than twice“. 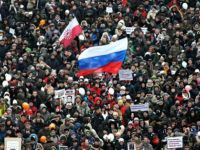 Political situation in Russia shows that there is no lack of opposition forces in the country, however, none of them play the key role. 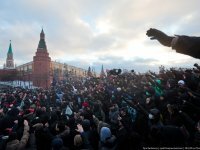 During the recent decade the model of the authoritarian state has been developed in Russia, and such a form of power does not tolerate the oppositionism. The current opposition forces are either persecuted by the authorities or have been simply domesticated. 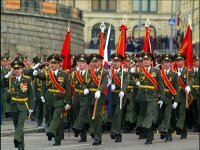 The new Russian military doctrine was approved on 5 February. This time it seems logical, explicit and not overloaded with „empty“ information. Russia’s position seems to be firm and cautionary. Certain theoretical and practical moments of the doctrine require special attention.